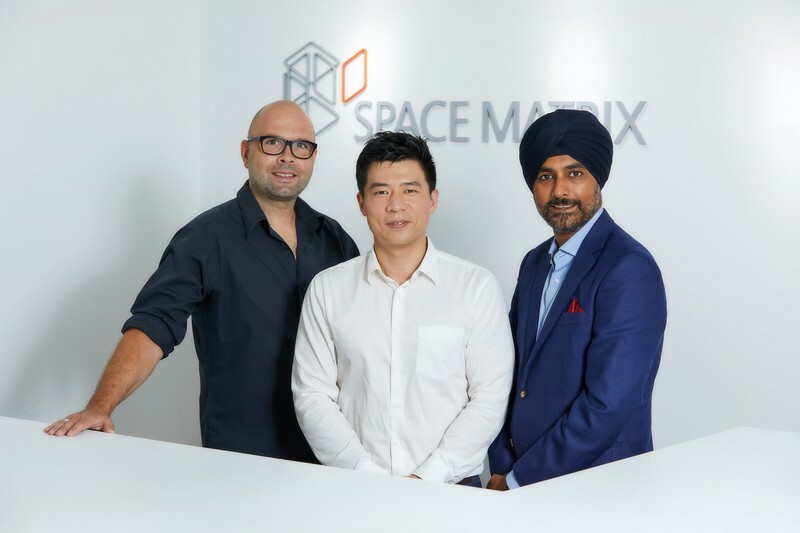 (4 September 2018, Hong Kong) Space Matrix, a Singapore-based workplace design and build consultancy, announced today its expansion into China through the successful acquisition of the Asian head office of Swedish interior design and construction company, Muraya. This strategic acquisition is part of Space Matrix’s vision to expand its footprint across Asia. With its entry into China, the firm affirmed a stronger foothold in North Asia reinforcing its Pan-Asian footprint amidst the eight countries Space Matrix has offices in – now, the firm has significantly enhanced its ability to service and manage projects from Australia, to across India, Southeast Asia and now China. With this acquisition, Muraya will be rebranded to form Space Matrix China. Globally, Space Matrix will now have a total headcount of more than 400 employees across 14 offices. Revenues are on track to grow over 40 per cent and will hit S$165 million this year. “We plan to double our revenue in the next four years and will also separately continue to look at M&A opportunities across the globe,” Arsh Chaudhry shared. “With our presence in Hong Kong, stepping foot into China was our next natural step. We see great potential not only in Mainland China, but also in the Southern China cities like Shenzhen and Guangzhou. We believe our expanded presence in China and Hong Kong will be of great value to our clients. Apart from the multinational companies, we also see immense potential in the local Chinese firms, who are going global fast,” Arsh Chaudhry added. Some of the major works completed by Space Matrix in Hong Kong recently were Akamai Technologies, Avaya, Garage Society, Li & Fung and Palo Alto Networks. Muraya currently has 45 employees on board and has completed over 500 projects. Some of the firm’s notable clients include companies such as Abbott, Alibaba, Kimberly-Clark, SAP and Volvo Group. “We realised that we needed a strong global partner to continue giving our clients outstanding workspace solutions. Together we can share experience and research globally to continually outperform our competitors,” added Love Englund, founder and APAC Director of Muraya. In Singapore, the firm has been working with leading global and local firms, with the objective of creating unique and immersive workspaces that inspire people and impact businesses. Some of the more prominent projects that Space Matrix has designed in the recent past in Singapore are Prudential, thebridge by Ascendas-Singbridge, Li & Fung and Uber.